When Riccardo Silva first floated the idea of the Americas Champions League, a tournament with 64 top clubs from CONMEBOL and CONCACAF nations, it seemed too audacious for its time. Two things have occurred that may change that perception since Silva shared his ambitious vision for a Western Hemisphere answer to the lucrative UEFA Champions League last year. One, the Copa America Centenario combining national teams from the Americas has set records for both attendance and TV ratings. CONMEBOL and CONCACAF officials are already talking about how to do it again. Two, Silva has shown with Miami FC that he is not messing around with the above market price acquisitions of Richie Ryan, Michael Lahoud and Poku to strengthen his club for a Fall Season run. He is a man determined to make his mark on the game. 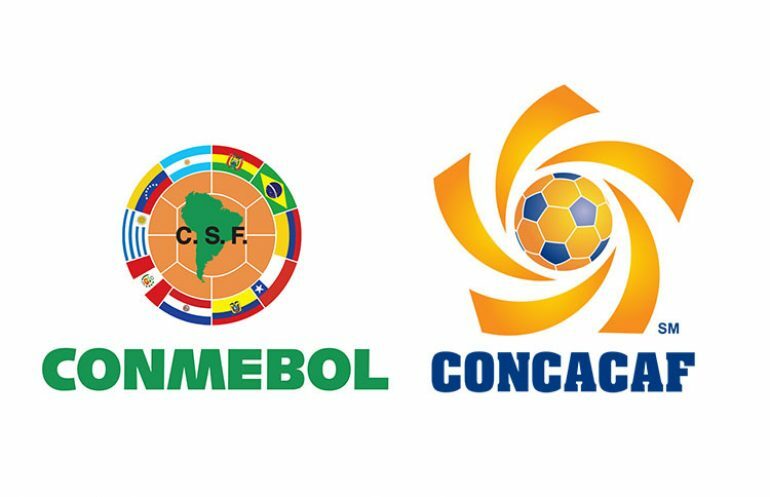 The success of Copa America Centenario will have the continental confederations, national federations, clubs and sponsors taking proposals for potentially lucrative joint ventures between CONCACAF and CONMEBOL more seriously. Back in March, Silva told One World Sports that he already had $440 million in sponsorship dollars lined up. If you still think he’s kidding, note that he hired heavyweights such as former US Senator George Mitchell and former NFL commissioner Paul Tagliabue as advisors on the ambitious project. Also note that as a founder of MP & Silva, one of the world’s leading sports media rights companies, Silva is an expert on the matter of monetizing events of this scale. The UEFA Champions League drives $2 billion in revenue, according to Silva. Even if the Americas Champions League drove a quarter of that, it could make a huge difference to the coffers of participating clubs. What Does MP & Silva’s Acquisition Mean For A Potential ACL? Sports Business Journal reported last year that MP & Silva added former executives from Soccer United Marketing, Bloomberg Sports and Serie A club Bologna to help run the project in addition to Mitchell and Tagliabue in advisory roles. Since that time, MP & Silva has had a change in ownership. A 65% ownership stake in MP & Silva has recently been acquired by Chinese investment firms Everbright and Baofeng. Variety reports that the existing MP & Silva shareholders will retain a 35% stake in the company. Typically when an investment firm makes a partnership like this with the founders of a business, it is meant to enhance revenue growth over a three to five year period before another, larger sale enriches both the new investors and the prior shareholders. Investments such as this provide the funding for ambitious projects founders would have not been able to undertake prior to the investment. The Americas Champions League vision would fit nicely in such an agenda. The Wall Street Journal interview with George Mitchell released on June 21, 2016 indicates there is still momentum on the project even after the investment into MP & Silva by the Chinese firms. How Would The ACL Work? Silva broadly outlined his idea of the format to One World Sports. 64 teams from CONMEBOL and CONCACAF would participate with a minimum of $5 million prize money each for their trouble, and he is confident teams would be happy to work the tournament into their schedules considering the revenue at stake for advancing in the competition. “First of all, the calendar,” Silva explained to OWS. “From February to November, 50 percent of the teams will play only two games. We think it is important to play two games in that time period. Probably, two games in a nine-month period, we think is no problem. Seventy-five percent of the teams, will play either two or four games. Even going to the final, it’s 10 games in a nine-month span. We have a dedicated team working on nine-month calendars. “Comparing all calendars, we found some dates, and the flexibility to find a few more dates — arranging in a better way, for example, the local, state championships in Brazil. So, I think we have some dates already, and some could be found. Once again, most teams will play either two or four games in a nine-month span. “Plus, consider the travel. Half the teams will play only one away game, and it’s not even sure if it will be in the other half of the hemisphere, depending on the draws. So, playing one or two games, with a long flight, I think should not be a problem, considering each team will get $5 million to participate. I spoke with teams, they are super happy to travel, super happy to participate. As long as they are getting a chance for $10 million, and going up to $30 million, and they have the opportunity to globalize their brands, they are super happy to travel. How Could The ACL Be Structured? Stronger together. Only united CONMEBOL & CONCACAF tournaments can hope to compete with UEFA. If the revenue is half of Silva’s projections, it should far surpass the combined earnings of the Copa Libertadores and CONCACAF Champions League. Some CONMEBOL clubs are already upset with their take from the Copa Libertadores and may welcome a new competition with greater revenue potential. Sports Business Journal reported that storied Brazilian clubs Corinthians and Flamengo are among the South American teams that have pledged support to the project. While Silva sees a future where the Americas Champions League exists side by side with the current confederation tournaments, the reality is that clubs will prioritize the competition with the most impact on their bottom lines. Silva suggests that clubs could play an early away match on another continent, but if he wanted to minimize the chances for expensive and hard-to-schedule travel in the early rounds, the 64 club competition could start off in two brackets, one for 32 CONMEBOL clubs and one for 32 CONCACAF clubs. Each bracket could have eight groups of four teams, with two from each group advancing to a round of 16 in their respective bracket. After this round, the two confederation-based groups join into one “sweet sixteen” of remaining clubs that are drawn across confederations, with additional prize money for making it to that round. This would also ensure a healthy amount of clubs from both North and South America stay in the competition to an advanced stage. The national allocations represent 33 clubs once you remove Mexico, which will be in the CONCACAF bracket. A hard choice would have to be made to reduce at least one CONMEBOL nation by an allocation place. CONCACAF would have the opportunity for additions, potentially bringing Mexico and the USA up to 5 teams, Canada up to 2 teams and allowing for permanent allocations to Jamaica and Trinidad & Tobago, who consistently field strong international sides but could use a cash infusion at the club level to develop more talent. As with the UEFA Champions League, allocations within confederation brackets could be reassigned annually based on performance after a few seasons of data. Since Silva is the mastermind of the competition and also the owner of Miami FC, I would anticipate him finding a way for NASL clubs to qualify outside of the US Open Cup. Presently the CONCACAF Champions offers the USA four club berths. These go to the MLS Cup champion, the MLS Supporters Shield winner, the winner of the other MLS Conference not represented by the Supporters Shield winner and the champion of the US Open Cup. The Americas Champions League could use the fifth USA berth for the NASL Soccer Bowl Winner. From a Canadian perspective, two spots would allow for both the winner of the Voyager’s Cup and the winner of the forthcoming Canadian Premier League to participate, offering opportunities to Canadian MLS/NASL clubs as well as the domestic league champion. 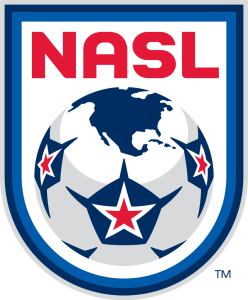 A more controversial move would be to even the USA allocations between MLS and NASL, by removing the third spot from MLS and awarding a spot to NASL’s combined season winner. While this would be great from a NASL perspective, MLS would likely have strong objections. However, the revenue opportunities associated with this would go a long way towards supporting NASL’s ambitions of being a peer Division One alongside MLS, which is in Silva’s self interest as the owner of Miami FC. Why The Americas Champions League, Why Now? If you read this site, then you follow US club soccer closely enough to know that the growth Mitchell broadly speaks about is evidenced in the explosive expansion across MLS, NASL and USL the past few years. The growth of the game is manifesting itself across the nation at a grassroots level as well, in NPSL, PDL and regional leagues. The Copa America Centenario proved that a combined CONMEBOL and CONCACAF competition garners much more attention and revenue than independent tournaments. In Riccardo Silva, the ACL has a visionary with with the skills, will, connections and financial resources to make it happen. A successful Americas Champions League would provide clubs in both Americas a platform upon which to increase their global image, and, as it grows, eventually earn revenue to allow them to compete with European clubs for top stars. “When you look at the money that could be involved and what will be provided to clubs, we believe this can be a turning point for soccer across the two continents,” Silva told Sports Business Journal. Should Silva find a way to incorporate at least one berth in the tournament to a NASL club, the Americas Champions League could play a huge role in the NASL’s long term ambitions to compete side by side with MLS. I like the idea in theory, but I am wondering would it not be better to merge the CONCACAF Champions League and COMNEBOL Copa Libertores into this proposed structure? ?